for $325,000 with 4 bedrooms and 3 full baths, 1 half bath. 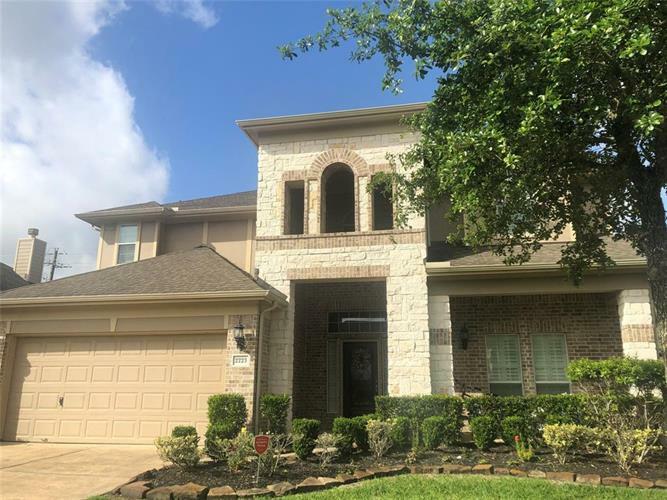 This 3,219 square foot home was built in 2009 on a lot size of 6900 Sqft..
A beautiful 2 story 4 bedroom/study/game room and 3.5 baths in the beautiful Mar Bella neighborhood with lots of upgrades. Open floor plan with high ceilings, wood flooring in living area, Plantation shutters on all windows, granite counter tops in the kitchen & master bathroom and kitchen island. 3 bed rooms upstairs w/Jack n Jill bathroom. Backyard is landscaped, covered patio for outside entertainment. No back neighbors. Zone to the desirable CCISD Education Village. Refrigerator, window drapes, Washer/Dryer & Wall unit in master bedroom is included. Price to sell. Come tour it today.